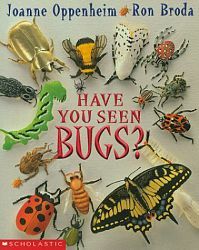 bug book: Have You Seen Bugs? It's Spring here - the sun is shining, seeds are sprouting, plants are growing, kids are rolling down hills ... and the bugs are back. 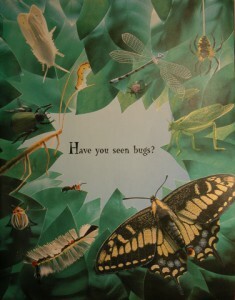 My perfect picture book for this Friday is Have You Seen Bugs? small as specks of sand. A variety of "bugs" - including moths, bees and spiders - are introduced in verse through the way they look, sound, move, work, hear and even taste. The text of this book is brilliant. The rhyme pattern is lyrical and reads aloud with rhythm and flow. The descriptive language is evocative -- "burrowed in bubbles" ... bugs that flutter, and scurry and dive". But the text takes second place to the absolutely amazing illustrations. Ron Broda has crafted the bugs and their habitats from three dimensional paper structures made with painted, molded and embossed paper. I could spend hours exploring the intricacies of the illustrations and marvelling at the talent that created them. This book reads well out loud, butI prefer reading it to a small group of children rather than an entire class. The pictures and text beg to be examined and discussed throughout the book; a delight that is lost when reading to a larger group. I have often read the first half of the book to my kidlets to entice them to further reading, and in subsequent days found one or two kidlets in a quiet corner immersed in the book. Yup, I've seen bugs. Have you? Yes, I know it's Thursday. But it is Friday somewhere. And tomorrow I am posting a giveaway. A book-lover's giveaway. Come back and check it out. You know I've never actually read that book. I'm going to look for it in our library tomorrow. Thanks for sharing such great resources! I think you will enjoy it Barb. 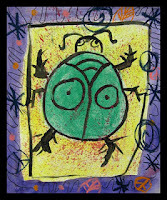 My students also love The Big Book of Bugs - great information and pictures. Now, just what is a :bugitarium"
The text does sound brilliant and fun to read! Love all the resources! Thanks for sharing Sandi! 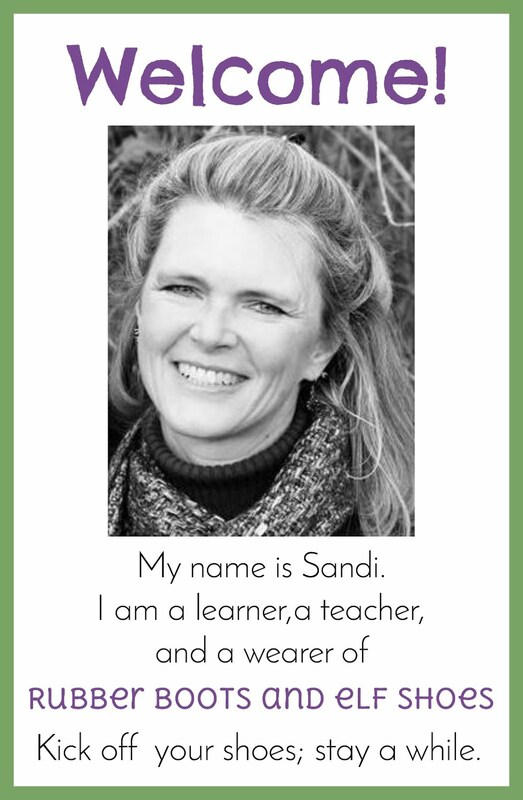 This book looks terrific, Sandi, and I love all your activities! I'm going to have to get my hands on this one to pore over the illustrations! Thanks for sharing! I wonder if this would help kids (like the kid I was) find the fascinating aspects of bugs and overcome the fear and aversion to the critters? The book sounds excellent. I think it would help overcome a fear/distaste of bugs since the illustrations are so amazing (and since they are made of paper, some of the yuck-factor is eliminated). You have an amazing list of resources for this book which could be used for other bug books too. Thanks for sharing! The resources could absolutely be used for any bug/insect book. 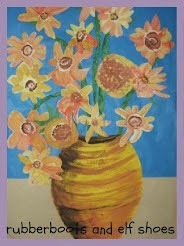 I deliberately did not include ladybug/butterfly activities or Eric Carle style activities - that seemed to be cheating!! Too bad this is out of print, but I see that it is available. Wonderful resources! This seems like a great little book! I will have to see if I can find it. We love bugs! I wonder if our library has it. We've raised caterpillars and ladybug larva this year. This would be a fun tie-in. 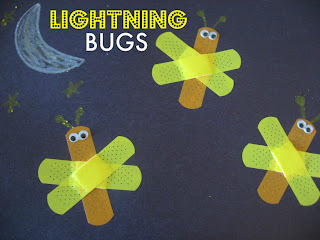 What a fun book about bugs -- and it rhymes. 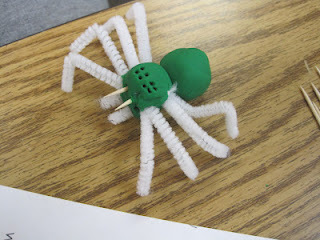 Great way to teach kids about insects. Nice pick and great activities. Out of print? I will search it out!!!! 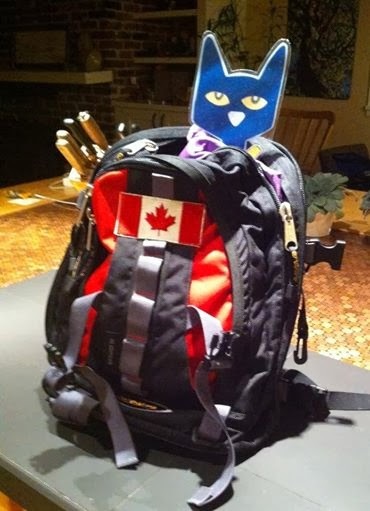 Thank you so much, Sandi...what amazing resources and enough activities for a month-long school or homeschool unit!!! Great resources and the illustrations look amazing. It's too bad the book is out of print.